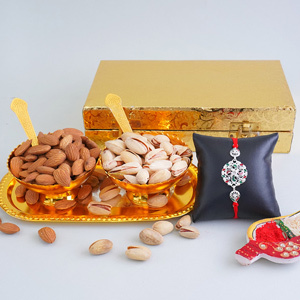 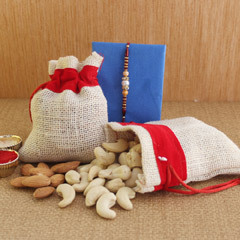 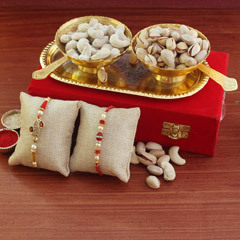 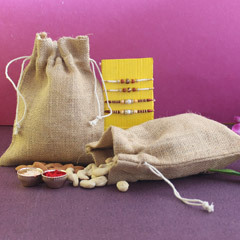 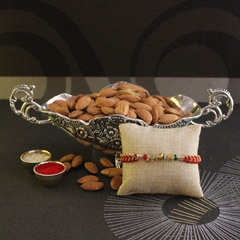 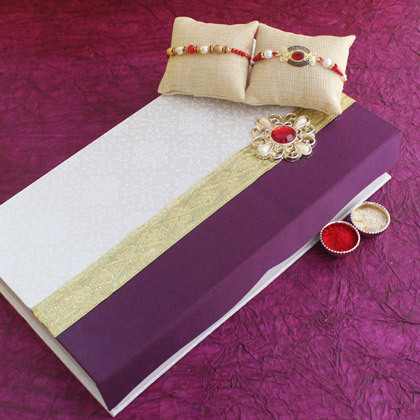 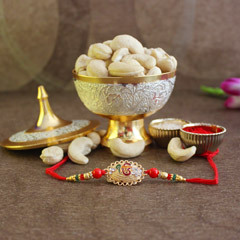 You simply need to make choice for this wonderful Rakhi gift to impress your dearest brothers as it will amaze them with a pair of two very distinctive yet very beautiful Rakhis for them to get their wrists accentuated with and a designer dry fruit box filled with 4 different types of dry fruits to relish. 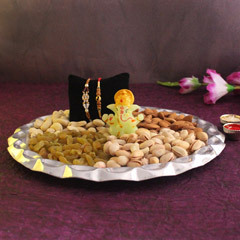 Both your brothers are sure to admire your thoughtfulness of gifting it to them. 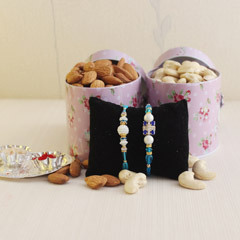 So, buy it here!